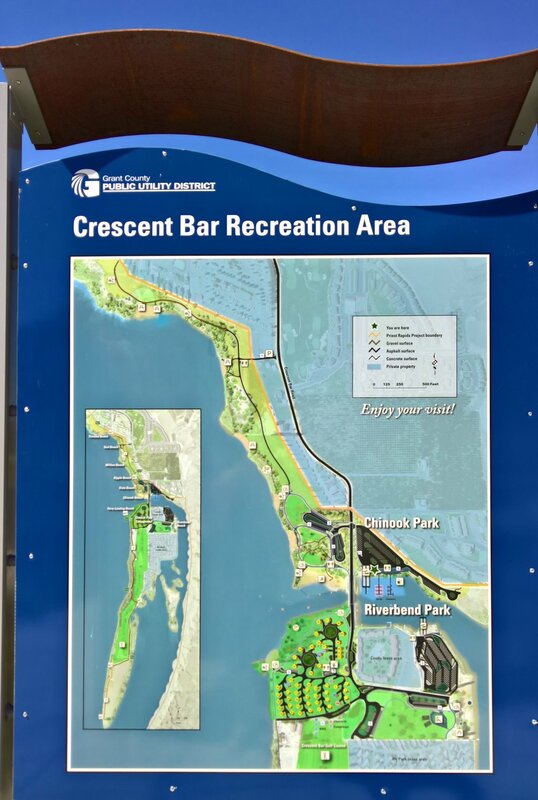 In 2017 Grant PUD upgraded the off-island boat launch, marina and parking, and it's as nice as they come, with 46 spaces designated for tow vehicles and trailers. Ice and gas are available, as well as restrooms and watercraft rentals. It's day-use only, so you'll need to plan for overnight storage. 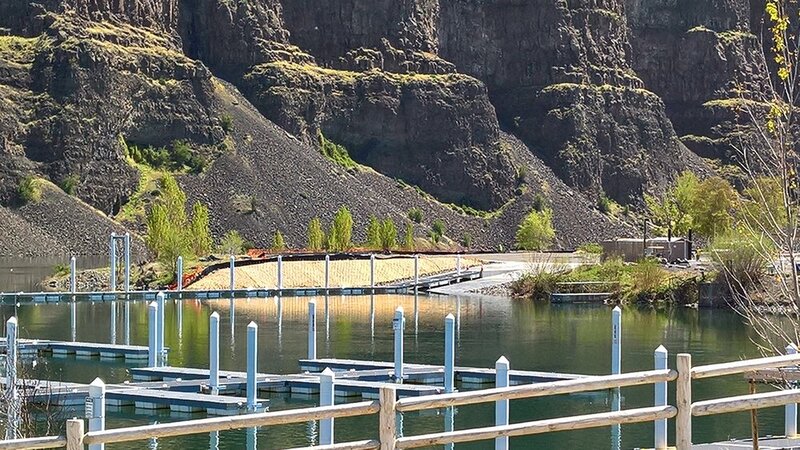 The new on-island boat launch and parking lot, with 64 marked parking spaces for tow vehicles and trailers is expected to be completed by Memorial Day weekend. There are even 18 golf cart-sized parking spots. 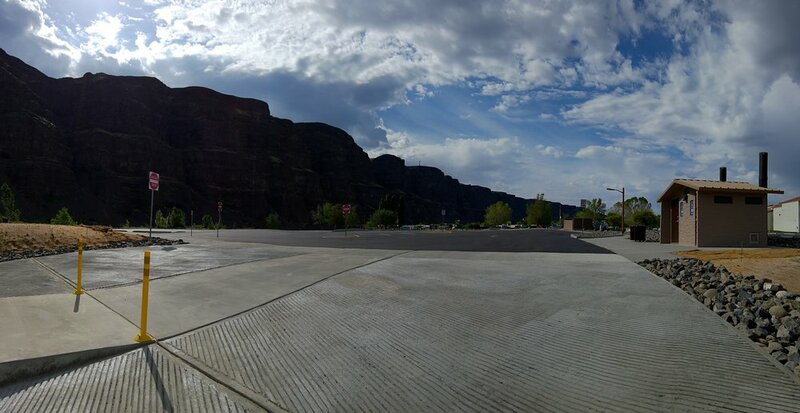 The on-island boat ramp (background) has a large parking lot with 64 designated parking spaces for tow vehicles and trailers. There's even golf cart parking. 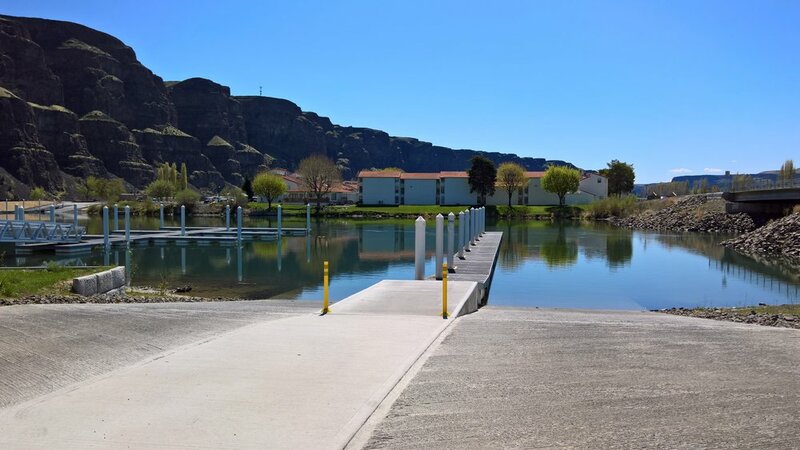 The new on-island boat launch and parking lot are a huge improvement. 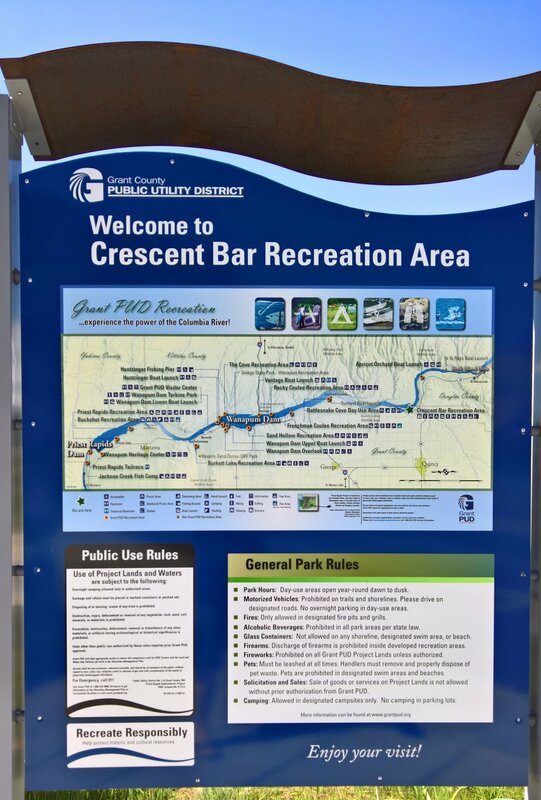 The signage at the on-island boat ramp prep area has maps of the CB area and illustrates recreation areas from Priest Rapids in the south, to Rock Island dam in the north.